GRAMBLING, LA — June 12, 2018 – Today, Grambling State University officials announced that Carlos Kelly has been appointed the institution’s new Chief of the University Police Department, taking over for Interim Chief Lieutenant Ruby Jones who will continue with the department. A veteran law enforcement professional, Kelly leverage his 21 years of law enforcement experience to help lead and grow ongoing campus safety and community efforts for Grambling State’s more than 5,100 students and community. 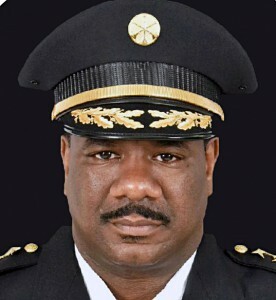 Chief Kelly joins the campus of Grambling State after most recently serving as Lieutenant Commander for the Massachusetts College of Art and Design (MassArt). In addition to his work with MassArt, Kelly has helped lead policing efforts at Philadelphia Housing Authority Police Department, America’s third-largest housing authority and fifth largest city, and Bucks County Community College. Kelly’s experience includes serving as an investigator, district commander, emergency manager, and a community relations specialist for localities and campuses in Pennsylvania, Massachusetts, and now Louisiana. “We are grateful for the leadership and service of Lieutenant Jones and looking forward to the contributions of Chief Kelly to our growing campus and community,” said GSU President Rick Gallot. For more information about Grambling State University Police Department and more information about Chief Kelly, please contact mediarelations@gram.edu or call 318-274-2866. This entry was posted in gramstory, safety, staff on June 12, 2018 by Jovan Hackley.